When will be Secrets next episode air date? Is Secrets renewed or cancelled? Where to countdown Secrets air dates? Is Secrets worth watching? The Sphinx. El Dorado. The Shroud of Turin. Our world holds remarkable relics that are full of secrets, written in stone, gold, and blood. 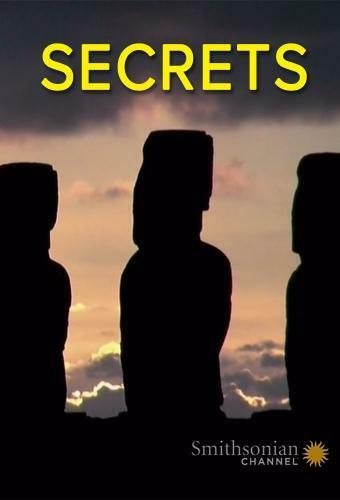 Discovering the truths behind their mysteries could change history as we know it. Join us as we travel the globe and come face-to-face with these puzzling treasures. We explore hidden corners, decipher ancient documents, and apply groundbreaking research and forensic techniques with one goal in mind: to discover the truth about these fabled cities, monuments, and remnants, and to share it with the world. In March 2017, construction work in Cairo's urban outskirts is called to a halt, as the colossal stone head of an ancient pharaoh is uncovered by a forklift. The "Pharaoh in a Slum" makes international headlines, but the real news is that the massive statue represents a ruler lost to history. Researchers combine hieroglyphic research and ancient documents to put together the real story of this "Lost Pharaoh" who brought Egypt back from the brink of collapse and ushered in an artistic renaissance – before his name and memory were wiped out. In 2011, archaeologists in the Valley of the Kings discover a sealed entrance to a previously undiscovered tomb – the first sealed tomb found in 100 years. Inside are the remains of a dismembered mummy, a pile of rubble and a coffin that is apparently 500 years younger than the tomb it resides in. Scientists identify the dismembered body as a female from the royal court who lived during the golden age of Egypt. 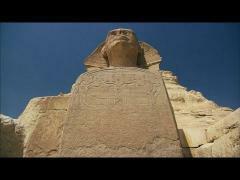 Further investigation reveals a tale of ancient Egyptian grave robbing and desecration, as well the rise of the new elite that would eventually overthrow the Pharaohs. In the cemetery of Egypt's earliest rulers, archaeologists were shocked to find the carefully buried corpses of baboons, jackals, leopards and even a hippopotamus. Forensic evidence shows these animals were not native to Egypt, and were captured at faraway locations. Why did these ancient Egyptians treat these animals like honored guests, even burying them with the royal family? New revelations show that this "world's first zoo" may have been the foundation for the ancient Egyptian religion – and the source of Egypt's mysterious animal-headed gods. For centuries, scholars, adventurers, saints and thieves have searched for the wealthiest treasure mentioned in the Bible: King Solomon's mines. Though scripture calls Solomon "richer than any other king," ancient Israel seems to have no silver or gold mines that could explain the gold-covered Temple and palaces of Jerusalem. But startling new discoveries in the remote Israeli desert finally reveal the truth behind the legend: a long forgotten mine, an ancient metal-working encampment, and traces of a metal far more precious than gold. Secrets next episode air date provides TVMaze for you. EpisoDate.com is your TV show guide to Countdown Secrets Episode Air Dates and to stay in touch with Secrets next episode Air Date and your others favorite TV Shows. Add the shows you like to a "Watchlist" and let the site take it from there.